The Perfect Fry commercial ventless fryers are the best deep fryers of their kind on the market! Designed as a professional fryer for restaurants and concessions. Perfect Fryers can produce up to 40kg per hour of perfectly cooked French fries, onion rings, chicken and other deep fried foods. Being a countertop modle saves space and installation costs, and makes renovations a breeze. Economical, you can buy two Perfect Fryers for less than the cost of installing one built-in model. Use the second unit during peak periods only and save even more money! Perfect Fryers are Commercial Fryers can cook up to three pounds at a time. Built in filtration means no expensive overhead ventilation is needed. With no exposure to hot oil, no greasy residue in the kitchen, integrated fire suppression systems, just fill the basket and press a button, this unit is safe and easy to use. 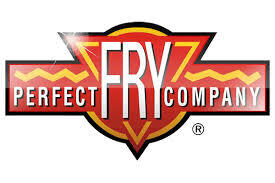 Perfect Fry commercial ventless fryers are the best deep fryers of their kind on the market! Designed as a professional fryer for restaurants and concessions, Perfect Fryers produce up to 40kg per hour of perfectly cooked French fries, onion rings, chicken and other deep fried foods.